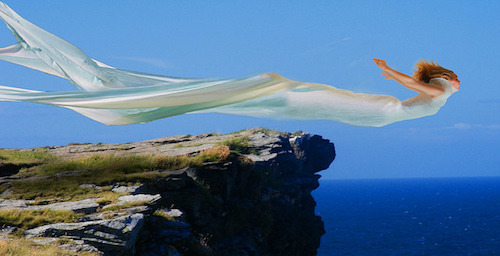 To the Free-Spirited Millennial: On the Power of Being In Progress. “Know yourself” and “people never change” are both popular truisms that imply two debilitating ideas—(1) that our self can be known, and (2) that it can be fixed. But in my 30 years, I’ve had many more selves than one. In high school alone, I had a new identity every year, and since age 18 I’ve had 11 complete ego-personality overhauls—Community Activist, Ordained Minister, Performance Artist, Middle School Teacher, Life in Mexico, Hawaii, Zimbabwe. There seems to be no fixed identity for this millennial, and when I look around at other people my age, I can see clearly that I am not alone. We are on a fast-track of personal transformation, dedicated to sourcing new solutions as we repeatedly embody the archetype of the fool, disregarding all prior notions of truth in order to cultivate new wisdom for this world. But, lingering Protestant work ethics, religious moralism and cultural ideals of perfection have shamed anything that admits to being unstable or in question. The message that our worth is determined by our stability is devastating to the overall confidence of these rapidly changing times. We are not stable in the ways we have been asked to be. We are determining our own definition of stability. From a young age, we have been encouraged to be pioneers by forging our own path in the world. But exploration doesn’t always come easy. There are detours to take, dead ends to find, unknown predators, unlikely allies and all the other unexplainable circumstances that make up this mystery. My generation’s grandparents and great grandparents grew up in the Great Depression and carried the knowing of how precarious our supposed stability is. We, ourselves, have lived through this Great Recession. My father spent 25 years of his life in a job that he hated so that he could provide for his family, only to lose his job, nearly all of his retirement and certainly his sense of stability in the economic collapse of 2009. At a young age, I was encouraged to choose a career path. Having been raised by a family of educators, teaching was a clear choice (despite my passion for performance). I didn’t really want to be part of the school system, but I wanted to be stable, and performance certainly wasn’t that. I knew I could keep a job as a teacher—they always need teachers, right? I cried when I applied to the credentialing program, feeling totally resigned and defeated, because I knew in my heart that I didn’t want to be part of that kind of schooling system, but it seemed like the right career choice to make. When I got laid off from my first-year teaching job because of budget cuts in California, it became clear to me that any choice that I made based on stability could easily be in vain. Both I and my dad gave ourselves to careers that we didn’t really want, all in the hopes of an economic stability that was ultimately not fulfilled. In the absence of believing in stability, I went fully in the other direction. I let go of as much commitment as possible in order to allow myself to transform and live from eyes that would not compromise for promises of sturdy ground. Thus, I have become quite unattached from any particular identity, and this has allowed me to be curious about what it is to be human in this world right now. When that curiosity is directed by love, my willingness to be in progress becomes an infinite opening of the heart. Loving curiosity has allowed me to see where I have been in and out of alignment with my own intention to be in love. This process of refinement has put me more directly on my life path than I ever could have imagined. To then add a witness to this intentional state of “in progress” creates a potential for transformation that is exponential. As I lovingly investigate this life, there’s sure to be a shadow at some point; there’s always the possibility of something behind me, eluding me. But, when I allow myself, within my process of growth, to be witnessed, then there’s nowhere for me to hide, leaving no room for shadows. Here, with everything in the light, there is no choice but to transform the illusion, or consciously choose darkness. This summer I launched a pilot incarnation of The Living Mirror Project, a movement of authentic expression for peace, in which I creatively exposed my confusions and doubts on stage, in real time. I let myself be witnessed not only in progress, but in question. In this raw exposure, my shadows of ambition, control, judgement, self-serving motivations and addiction to attention, were all illuminated for me. From that time, I’ve had no choice but to transform some of the greatest karmic patterns of my soul’s journey. It was embarrassing and hard. There were definitely those who were triggered by the exposure of my shadows, and I certainly ran away for a while to integrate the mirror of being witnessed. I now deeply understand how that retreat into self-reflection is a necessary component for any person willing to be witnessed in progress. Now, coming out of that cave, my life is more integrated than ever. For the first time since I left home for college, I am intentionally returning to live with my family, not out of desolation, but because it’s important for me to water my roots. I couldn’t see that with ambition or pride in the way. This transformation, from ambition into being of service to the Earth and my family, has been one of the most profound transformations of my life, and it all came from a willingness to be in progress, and to be witnessed in that progress. Feel confident in your relentless search for a life that feels right. Know that your willingness to be in progress is forging the way for a new world. We need your loving curiosity as much as we need scientific breakthroughs and doctors. Your crooked path is valuable and is setting a standard for a life devoid of resigned compromise. Express that “in progress” with pizzazz. You’ll get ridiculed by some. Some of it will be true, in which case, thank goodness that you got to see it. Some of it will be pure projection, in which case, you can use the fact that you are a brave mirror of greater social questions as soothing balm to the sting of judgement. Shamelessly take the time and space you need to discern your own truth. Every breakthrough you have in your wild ways is a gift to all of us; share it, even if you change your perspective again (and you likely will). The witnessing of you in that investigation is a direct model for all of us in how to engage living. Think twice before you rant about the lack of commitment from younger generations. Consider that their quest is offering something valuable to our world. Sure, it might be hard to pin us down, or make any plans, but that’s just because we’re willing to shift in order to be in even greater integrity than that offered by the path laid before us. We are developing a sense of stability that lives inside, without impact from the fickle stock market or oil prices. We are developing an inner freedom based in creative entrepreneurialism and DIY attitudes. Sure, it’s taking some time, but relative to the legacy of employment-based slavery before us, I say we’re doing a pretty darned good job. Myself, and many of my generation, have sacrificed the white-picket-fence ideal in search of solutions for our rapidly declining standard of living—health problems on the rise, global climate change, wholly absurd politics and a failing economic system. For those who do not have the desire to take that leap of faith themselves, reach out a hand to someone who has. Witness the process with curiosity rather than judgement, and feel free to share your insights. It’s gonna take all of us to make any sense of this mess. Thank you so much! Holy cow this put me in tears. I have always felt alone in this way of thinking and certainly misunderstood, as well as isolated surrounded by people who live the “stable” life. Gosh, thank you so much. It was such a comfort to read this. Thank you, Thank you, THANK YOU. This was exactly what I needed to read. Thank you for articulating exactly what I am going through right now, and have not been able to communicate. 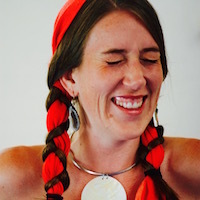 Alana Nathel Miller (also known as Alana Sophia) is a performer, writer, singer and coach who devotes her life to paving new paths for our planet that are based in truth, co-operation, creativity and harmony with the natural world. She offers one-on-one and group transformation services to those who are ready to embody their innate power and offer their gifts to their communities. As an artist, Alana dedicates her expression to the balance of duality and inspiration of love. She offers Creative Communication, Transformational Art and Expressive Freedom workshops that include storytelling, vocal empowerment, theater and intuitive movement. She is the Mother of The Living Mirror Project, a movement of authentic expression for peace. 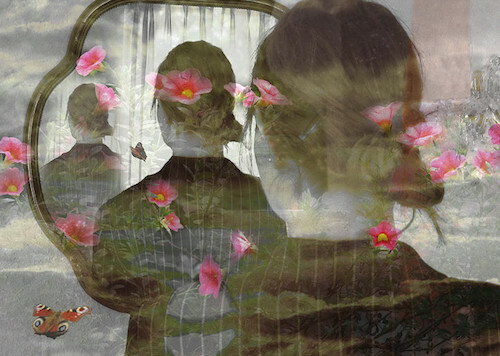 To learn more about Alana, her art, her services and The Living Mirror Project, please check out her website.